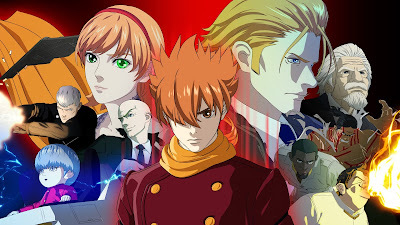 On Thursday, September 15th, Propeller Anime presents a very special Anime Nite Orlando featuring the highly anticipated screening of 009 Re:Cyborg! This is one of the latest and greatest of Production I.G and we're excited to show it thanks to Funimation! When we announced this at the last Anime Nite Orlando, the amount of love was outstanding. People have fond memories of the Cyborg 009 series that aired on Toonami and creator Shotaro Ishinomori is a legend in the business. But that's not all we're showing! Plot synopsis from ANN: When unknown terrorists attempt to de-stabilize global civilization by blowing up skyscrapers all over the world, Dr. Isaac Gilmore's team of cyborgs are re-activated to combat the menace. Using their super-human powers they discover phenomenon far stranger than human masterminds. In addition to the Cyborg 009 movie, we will also be showing Shotaro Ishinomori's Android Kikaider and Go Nagai's Re: Cutie Honey. It will be a wonderful night of robots!